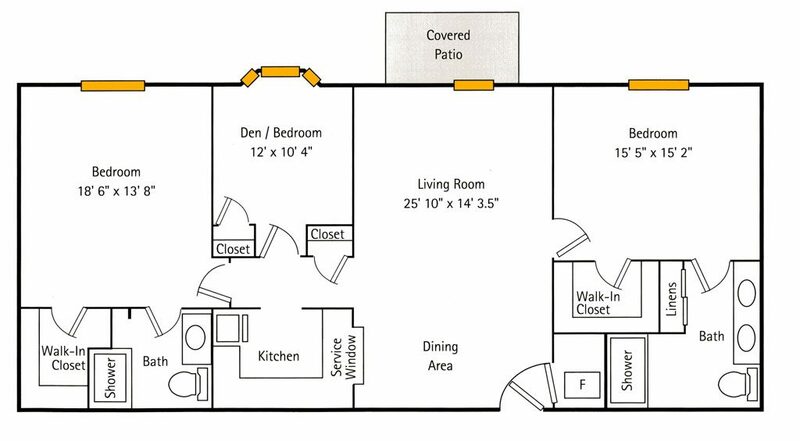 Our Deercrest apartments offer an abundance of options with regard to square footage, style and features. 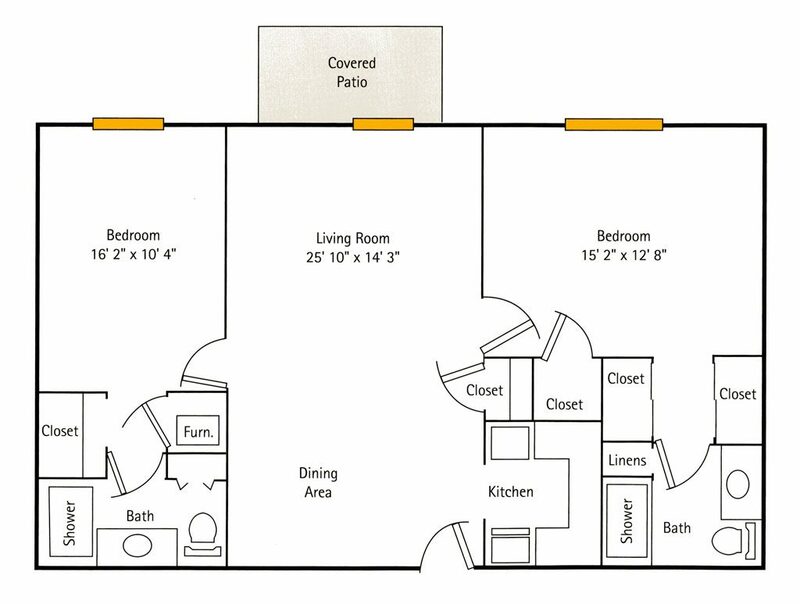 You can choose from spacious, open floor plans in one- and two-bedroom apartments, as well as two-bedroom with a den. Each apartment home includes a full kitchen with granite countertops, under the counter lighting, smooth-top ranges and stainless appliances. Apartments also include covered patios, as well as custom-designed walk-in showers with built-in seating. There are many different residence designs from which to choose. 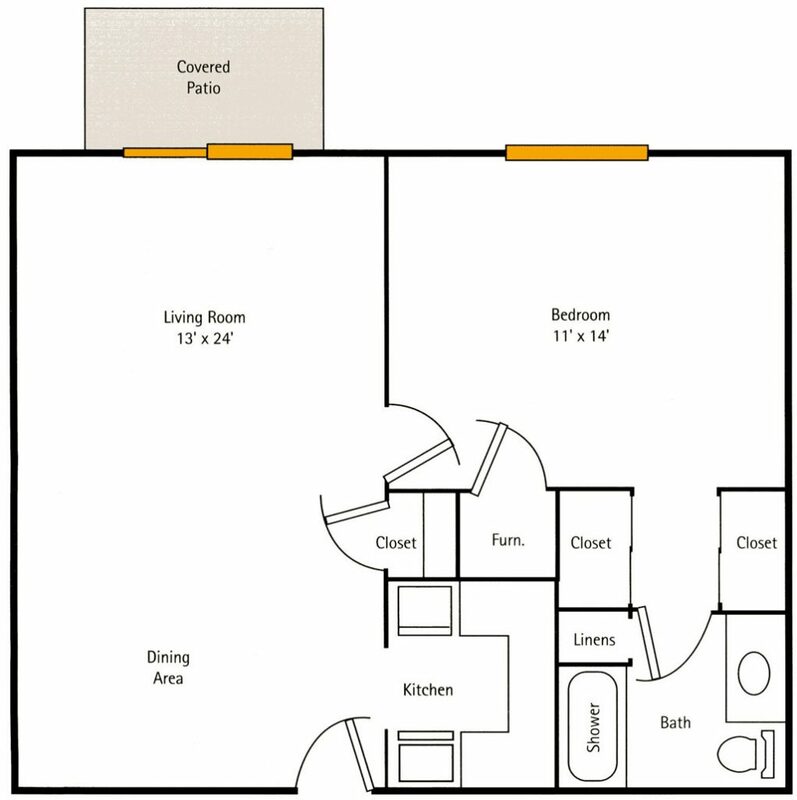 Deercrest Floor Plans shown here are just a sampling.